Travelling when you're young is a one-of-a-kind experience. This is the time for living free and creating memories! Travel is a one-of-a-kind experience that sets you apart from others and allows you to explore your passions. Instead of reading about the Mona Lisa, go and see it in person; don't take that dance class at the rec centre, get a Flamenco lesson in Spain. Then come home and impress your friends with your travel stories. After 18+ years of being told what to do (and what not to do), travel lets you try new things like skydiving, whitewater rafting, that strange delicacy in Thailand, and other things you'd never do at home. 78% of young travelers want to learn something when travelling. Uncover your hidden art critic at the Louvre in Paris or find your passion for ancient architecture at the Acropolis in Athens. 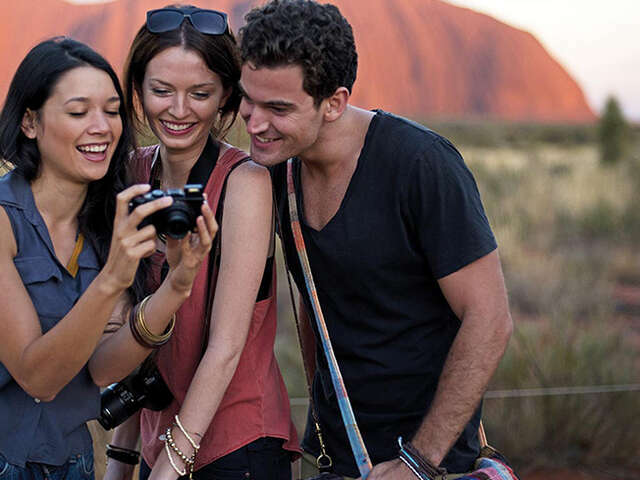 2 out of 3 young travelers visit a place recommended by friends and family. Don't be left out. Traveling to places your friends and family visited lets you share common experiences and stories. Remember when you were young and you couldn't wait to grow up? Well, you're grown up (not to be confised with old). By taking a tour it takes the hassle out of travel. When you've only got two weeks, you want to make every second count. Let us work out the less interesting details (researching hotels, sights, etc.) so you can dive right into the fun part - exploring! Travel is the only thing you buy that makes you richer. Make the ultimate investment when you're young so you'll reap it's benefits for a lifetime. CHECK OUT OUR LAST MINUTE TRIPS TO EUROPE - THE PERFECT GRADUATION GIFT!